In a medium bowl, stir together the almond flour, cinnamon, ground cloves, and nutmeg. In a large mixing bowl, use a hand mixer to beat the melted butter and Monk Fruit sweetener. Beat in the egg. Add in the almond flour. Form the dough into a ball with your hands and chill in the refrigerator for 30 minutes. Preheat the to 350 degrees Fahrenheit. Place the ball of dough between two large pieces of parchment paper. 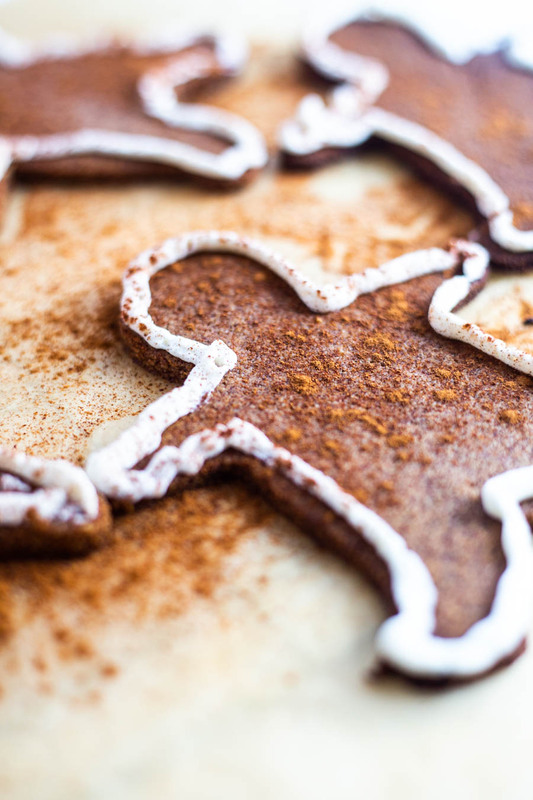 Roll out the dough and use a cookie cutter to cut out cookie shapes and transfer them to the parchment paper. Use the remaining dough to turn it into another ball, roll it out again, and repeat, until you've used up all the dough.